To me the the teaser poster looks kinda messed up because there doesn’t seem to exist one major axis. For example, the “Predators” title floats on the right side of the teaser as if the designer couldn’t find a better place for it. Additionally the tagline doesn’t line up with the movie details section on the bottom. 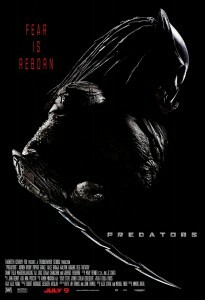 The tagline “Fear is Reborn” is, well, not the best one either and placing it up there somehow doesn’t really help it. 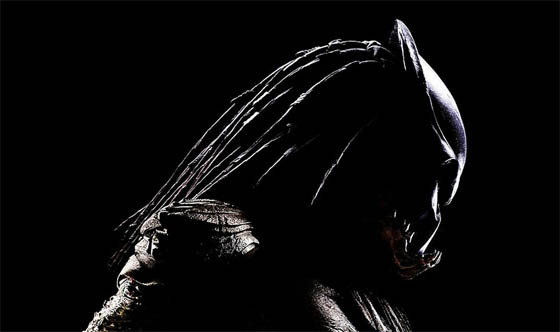 Moreover our beloved Predator (I gladly call him “The Butcher”) looks too big on this teaser. I understand that the designer wants to imply dominance and terror but some “white”space (in this case blackspace) is never bad. Basically I re-sized our beloved butcher to let it breath some fresh air of blackspace while placing him/she/it a little bit further to the left since it looks to the right. I also decreased the size of the movie information. Then I moved the title below the sword-thingy. This way, everything you read is below the Predator. 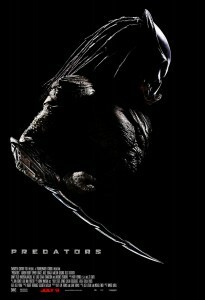 Since he/she/it is reaches the top of my Predators teaser poster it hopefully gives an increased feeling of dominance and terror. The rest are some additional tweaks. For example, I moved the hand a little bit further down the image because I constantly had the impression the lower arm was too short. Moreover I increased the contrast a little bit to give it a harsher impression. Oh yeah, the tagline is gone for good…Oh yeah the second: I also increased the lightning on its jaw a little bit. This is it. 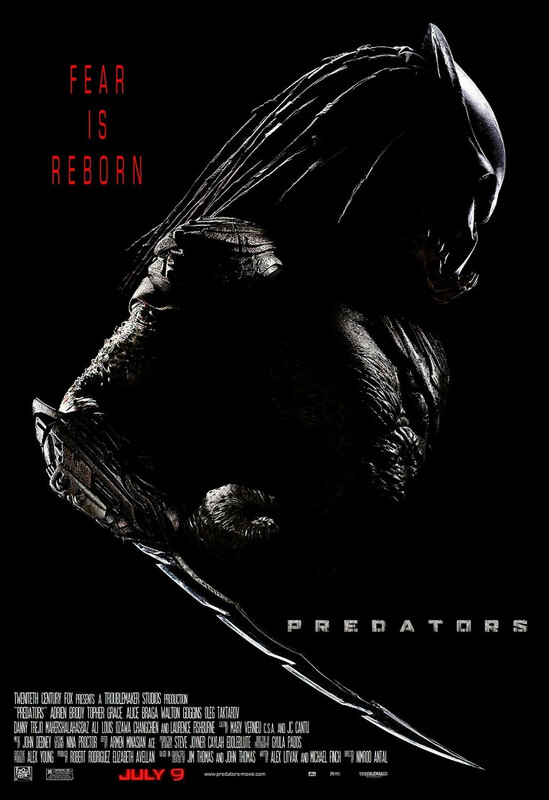 My take on the Predators teaser poster after twenty minutes. What do you think? Is this version an improvement of the teaser poster or should I have kept my fingers from it? Tell us what you think!